Everybody wants to make money, but nobody wants to put in the work. It’s become the biggest dynamic in ecommerce: people want to start selling products but don’t have a channel to utilize. That’s where Amazon comes in. Amazon is the world’s biggest online retailer, with hundreds of millions of products being sold each year and launching a private label product to sell on Amazon has never been easier. To start selling successfully, you’re going to need to make one vital decision. What product will you sell? Making this decision is the #1 obstacle that prevents new Amazon sellers from getting their business off the ground. Choosing the wrong product to sell on Amazon can cause your business to fail before it evens starts. In this article, we’re going to dive into the essential steps to choosing a profitable product to sell on Amazon. You’ll learn the product research process, that includes how to brainstorm the right product, what product attributes to look for, and what market research you should conduct. There’s an endless selection of products you could sell on Amazon and it can be hard to choose just one. 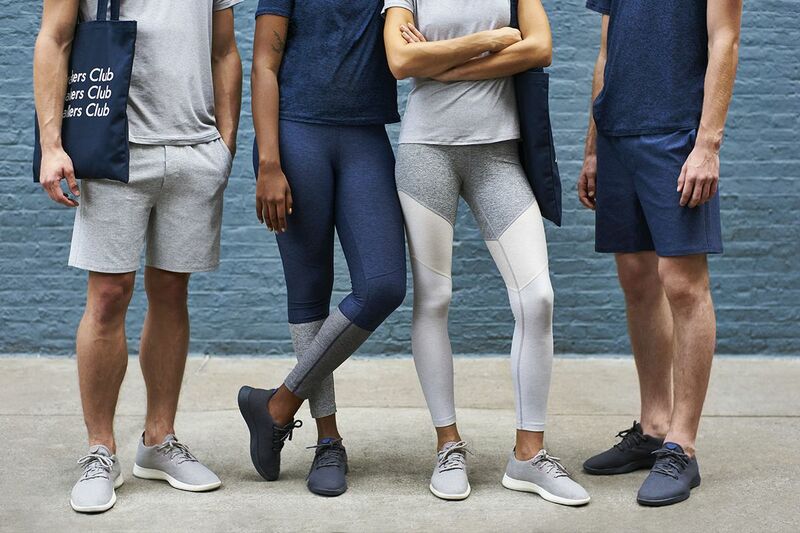 Starting with one product will allow you to see if there is enough demand in your product category to potentially expand your product line in the future. You’ll also be able to learn from your mistakes so you can ensure a smooth launch for the rest of your line. Start by looking around your house at what’s lying around. Think of random impulse buys. You can search for products on Amazon and keep clicking on items that pop up in the suggested items section. It’s also beneficial to check out the Amazon Best Sellers page to see what’s currently popular. Jungle Scout also has a new Niche Hunter feature that can help with the brainstorming process ($49/month). Keep a running list of products that interest you. You want to look at between 50 and 100 products before you choose one. With that said, you don’t want to overthink your selection or else you’ll never end up moving forward. Keep a notes page open on your iPhone or laptop, and jot down ideas as they come. Your first idea is never your best idea, so don’t expect to find the perfect product right away. Be on the lookout for specific product categories. What’s a product you can sell now that would be complemented by something else you can sell later? This is important because having another product appear in Amazon’s “Customers who bought this item also bought” section is a great way to increase sales. For example, let’s say you’re shopping for an iPhone case and click on one you really like. Down the line, you want the opportunity to sell a complementary product that will appear in these sections. Doing so will drastically boost your sales. 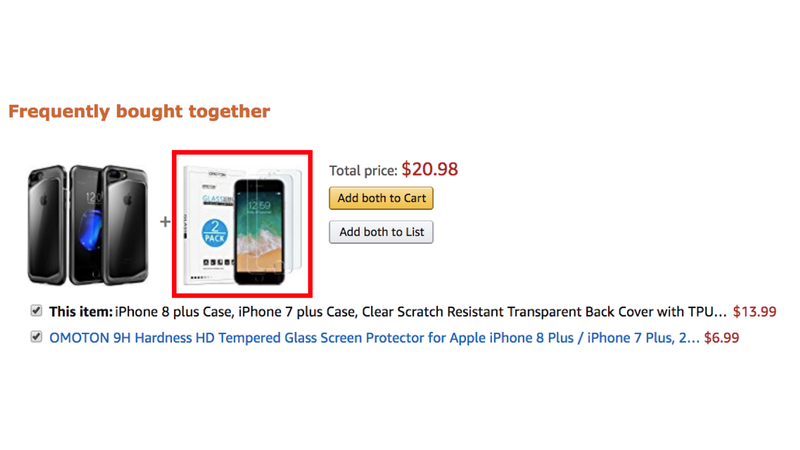 If I’m selling that iPhone, I would also want to want to be selling that screen protector. Capitalizing on that opportunity will drastically increase your sales and consequently your profit. This strategy will allow you to dominate smaller niche categories. 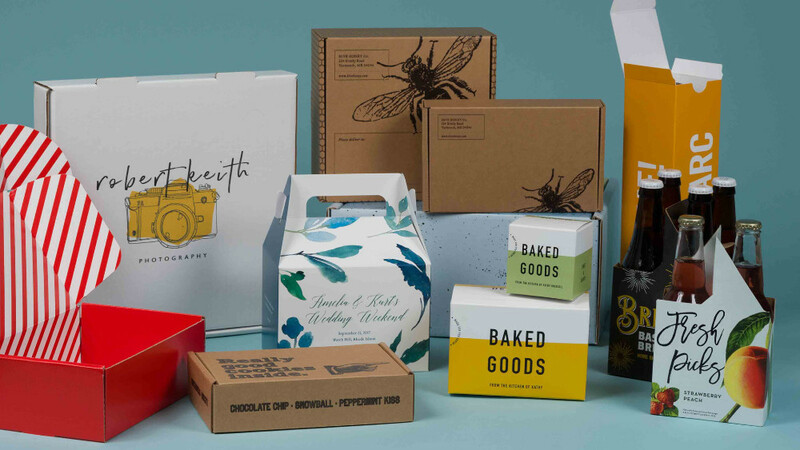 Now that you have your creative gears turning, there are a few things you should keep in mind when deciding if a product would be a good fit. It’s important to consider certain qualifications as you continue to browse for potential products. The reason? Amazon charges FBA fees for products that are larger than those dimensions. You want your FBA charges to be minimal so they don’t reduce your margins. 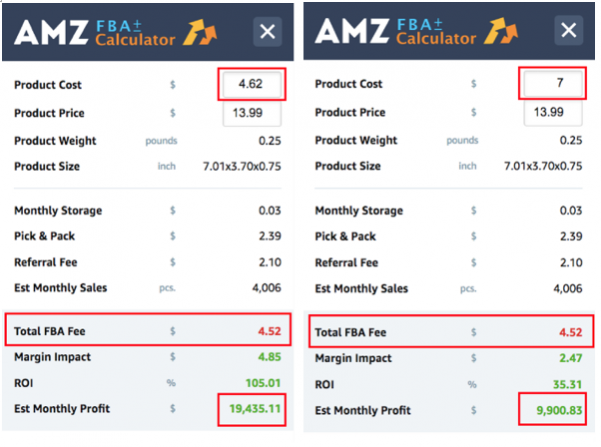 You can install AMZScout, a free Chrome extension, that allows you to see a product’s weight, size, FBA fee, the estimated quantity of monthly sales, and more on an Amazon product page. In the first image, my product cost is 30% of the sale price and in the second it is 50%. You should always aim for 1/3 product cost and 1/3 FBA fee to leave you with a 1/3 profit margin. Jungle Scout and Viral Launch are also great tools that can help when choosing a product, but if you’re looking for a free version that works great, AMZScout is a good alternative. The selling price of your product is also a crucial aspect to consider. The ideal target is between $15 and $50. If your price is too high, the impulse buy goes away and if your price is too low, the profit margins begin to shrink. Steady demand should also be considered when choosing a product to sell. You don’t want a seasonable product that’s in high demand a few months out of the year but doesn’t attract a consistent stream of buyers. Look for evergreen products that will be profitable year round. Your product should also be simple and not easily breakable. The last thing you want are complaints from customers about certain parts not working or returns due to damage incurred during shipping. You also want to avoid paying extra for special packaging for your product. One of the most important features of your product is that it should be eligible for Amazon PPC. Not all product categories are eligible so it’s crucial that you check the list of current eligible product categories before moving forward with your product. Utilizing Amazon PPC will allow your product to show up first when customers are searching for products in your category. This means that you will be listed above products that are leading your categories which makes a huge difference when you are starting out. This will help you gain reviews quickly so in the long run, you can organically rank at the top of the search page. Since you aren’t going to launch with a ton of reviews, this is pretty much the only way to gain traction so you can eventually rank alongside your top competitors. Use these specific product attributes to narrow down your original list of ideas and accurately direct your searches. Your list of potential products should now be more condensed and specific. The ideal product has the perfect balance of demand and competition. Finding a product with that balance will ensure there are enough potential buyers for you to make sales, but not too much competition fighting for those sales. So what qualifies as the perfect balance? 1. Among the top 5 Amazon sellers of this product, at least one should have fewer than 100 reviews. The amount of reviews is the primary factor that customers will use when deciding to purchase from you or another seller in the same category. You want to have the opportunity to compete with reviews and getting 100 is doable. 2. Aggregate demand for the top 10 Amazon sellers should be at least 1000 – 2000 units. You want to sell a product you know people already like and are buying on Amazon. Don’t take a risk by choosing something unique, your product doesn’t need to be better than your competitors, just equal. Jungle Scout is a great tool to use to measure this. 3. Market depth– sales should be evenly distributed among the top 10 Amazon sellers. You don’t want the top 2 or 3 sellers to account for 90% of the sales. You can’t compete with that. Let’s go back to the iPhone case example. Here is a quick excel sheet I made to determine if my product list met these market qualifications. It’s now easy for me to see that iPhone B and E are my top two choices, with G coming in at a close second. After eliminating products that don’t possess the above 3 attributes, your original list should now be down to just a few. Your choice is now much easier to make. From here should choose the product that interests you most. The best entrepreneurs are the ones that are passionate about and believe in what they’re selling. Sell something you would actually buy. Once you have chosen one specific product, it’s time to place your order. You want to source your product overseas rather than domestically because in the Amazon private label business, large margins are crucial. Sourcing your product from a manufacturer overseas can save you up to 80% and sometimes more. Platforms like Sourcify take out the time, stress, and hassle of selecting the right manufacturer while helping you produce in a fast and cost effective manner. You don’t have to worry about being scammed or communicating with representatives who speak a different language. Sourcify takes care of everything by connecting you with a secure, experienced manufacturer and ensuring you get the best possible price. You then what to complete market research to ensure there is substantial aggregate demand. You also want to analyze the market depth and check if you can be competitive with reviews. The last step is to choose a manufacturer. To choose a product for your Amazon private label business, you have to remember that there is no such thing as a perfect product. As long as your product meets the majority of qualifications I’ve outlined above, you’re good to go. Don’t overthink the process. You now have all the tools to choose a successful product– go out and do it!